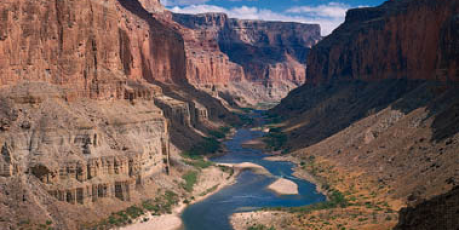 The Grand Canyon, one of America's greatest treasures, is threatened by a huge wave of uranium mining -- and the deadline for public comment is fast approaching. For two years, a hard-won moratorium on mining has protected the Canyon, but the ban is now set to expire. If the federal government doesn't renew it, a "Uranium Rush" of mining would permanently scar the face of this unique and priceless land, devastate local communities, and endanger water supplies for millions who live nearby. Mining lobbyists are pushing the U.S. Bureau of Land Management to let the digging begin, but a proposed 20-year ban is also under review. A public outcry helped secure the embargo last time, and thanks to a wave of citizen outcry last week, the deadline for public comment has just been extended through May 4 -- so if enough of us raise the alarm now, we could ensure the Canyon stays mine-free for decades. Let’s save the Grand Canyon! Send a comment now, and ask friends to do the same!